Just a Car Geek reader, Todd, posted this car on the the JaCG Facebook page. 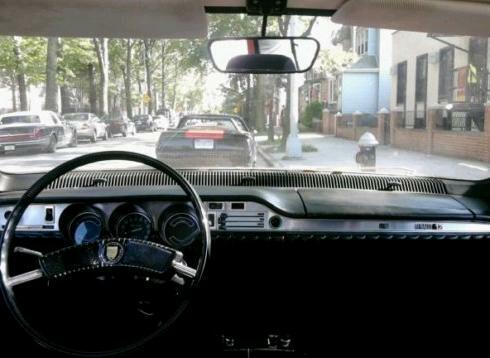 It's a pretty cool car for what it is. As JaCG reader, Blair, pointed out, it's the second one to come up for sale recently. Bring a Trailer featured one a week or so ago. 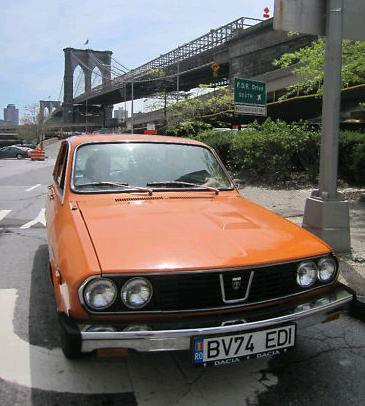 Two R12s coming up for sale in the US in the same month is a rare event. It may be one of the first signs of the apocalypse. The R12 is a FWD car. 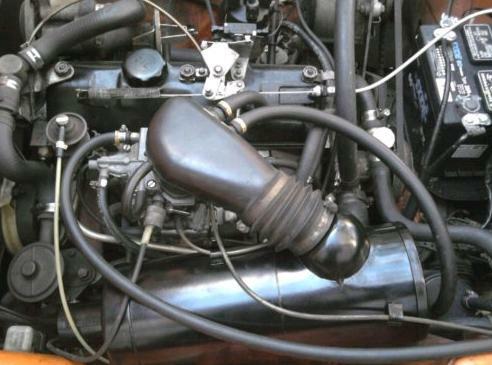 The engine is laid out longitudinally. It was the first FWD Renault to use a floor mounted shifter. The R12's basic platform was used by Renault for the R15, R17, R18 / 18i and Fuego. The R12 is a slow, but comfortable car. It never sold well in the US. In the 1970s Renault had a less then stellar reputation here and very few dealers. (The dealer network became much bigger in the early 1980s when Renault took over American Motors. Thier reputation stayed roughly the same.) Many Americans found it odd looking. This car needs some work, but appears to be in overall decent condition. Parts are getting tough to come by in the US, but are still plentiful in Europe. Located in Queens, NY, click here to see the eBay listing. Below is a picture of my R12. 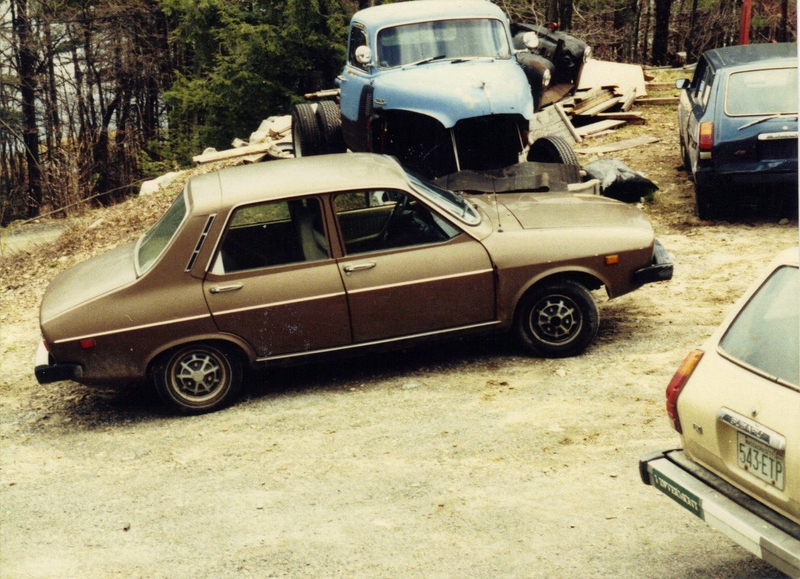 It was my "beater car" for a short time in the early 1980s. I bought it for a couple of hundred dollars from Sutton Motors - an old time Renault / Peugeot dealer in Sutton, MA - used it for a year and then gave it to a friend who was in need of a car. He drove it for another couple of years. The picture was taken at a friend's house. He loved old Subarus, Audis and anything weird. The last time I saw him he mentioned that he was restoring a Triumph Mayflower. Definitely a weird car. Hopefully Fiat's takeover of Chrysler doesn't end up like Renault's takeover of AMC. "Odd looking"?? I think it's pretty safe to say that the R12 was Renault's first "normal" looking car. And, look, when the alternatives were Pintos and Corollas, the Renault starts looking downright modern, luxurious and even sporty!! 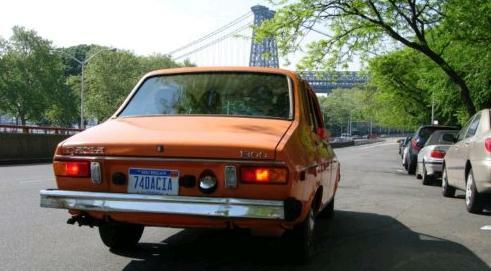 Dacias were sold in Canada for a couple of years back in the early '80s. It may be possible to find one up here.